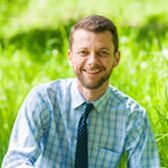 Dr. Matthew Strickland is the founder of Southeastern Integrative Health and Wellness, an integrative health clinic that specializes in science-based holistic medicine. 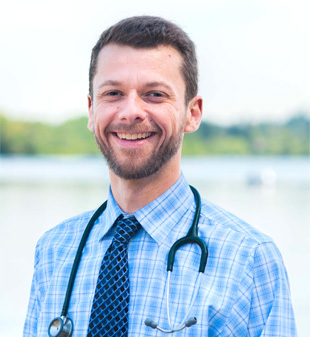 As a naturopathic doctor, Dr. Strickland is a leader in integrative and functional medicine. His personal philosophy is simple – to do what it takes to get the patient well. Not bound by dogma, and well-informed both in the scientific and natural side of medicine, he will work to understand your unique health concerns and how they present in you. Clues often come from your family history, work history, medications you’ve taken, past illnesses, stressors, foods you’re eating, and more. We’ll go over all those things. Your first visit will always be long enough that you will have enough time to ask questions and I’ll have enough time to listen and really dig deep into what is causing your health concern. It takes a doctor that has the time, training, and experience, to discover the root cause of your illness. Once I’ve gotten all the information I need, and sometimes this takes ordering labwork or going over your case outside of your appointment time, you’ll be given a comprehensive treatment plan. This may include: vitamin and nutrient therapies (supplements), herbal medicine, homeopathy, dietary recommendations and changes, mind-body medicine, counseling, biofeedback, and more. As a licensed naturopathic doctor, I’m also well-educated in pharmaceuticals and it may be that those are the best option for you. I’m not dogmatic and it’s important that my patients are healthy and safely taken care of. In some cases pharmaceuticals are the best option, especially before the more natural approaches begin to work. I have successfully helped people with many conditions ranging from Migraines to Depression to Autoimmune disease and more. For more information click on what conditions we treat click on services or reach out to me through our contact form. If needed, we order lab tests from reputable local companies to check on your general wellness or help discover the root cause of your health concern. The heart of our practice is our naturopathic consultations where we take the time to listen to and learn about your health concern and come up with a comprehensive plan to get you feeling better. We use a wide range of natural therapies as part of your individualized treatment plan including herbal medicine, vitamins and other nutrients, homeopathy, and more.